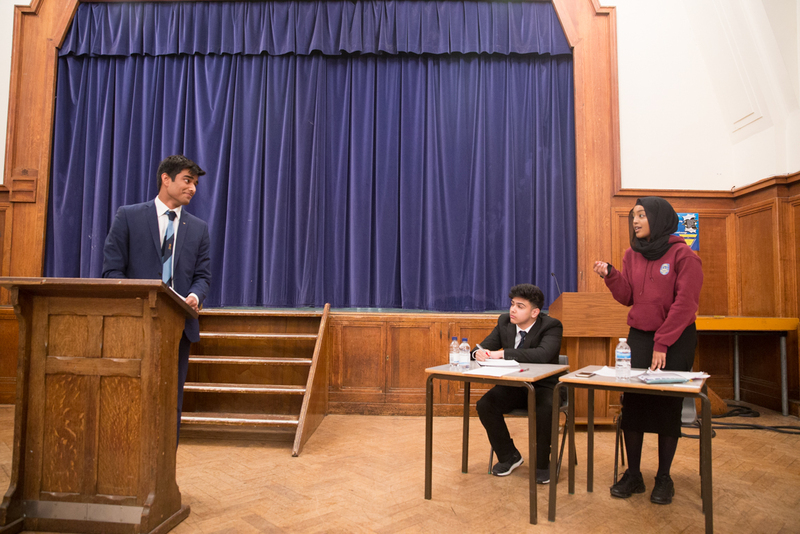 Many congratulations to Nauman Zahid (Year 13) and Siham Sahal (Year 12), prominent members of the Upper School Debating Society, for securing a place in the second round of the English Speaking Union (ESU) Mace competition with an excellent debating performance opposing the introduction of e-sports to the Olympic Games. 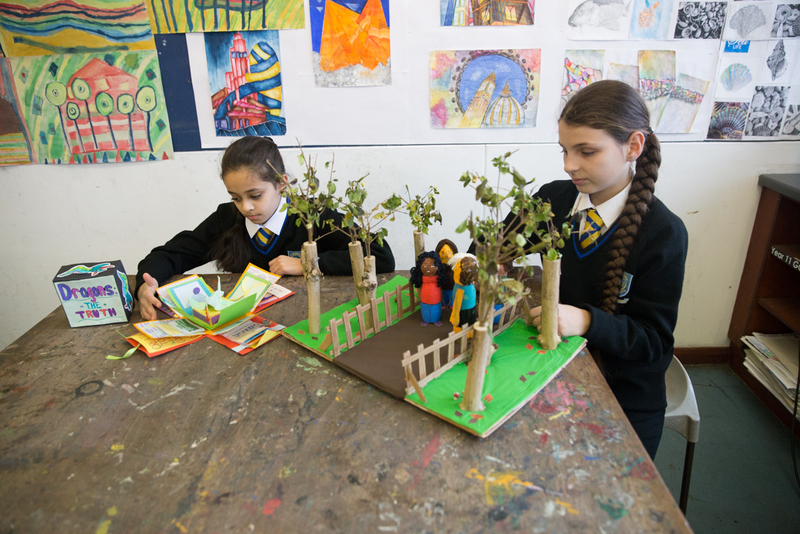 Kingsbury went through this tough first round along with Queen Elizabeth School, Barnet, and Immanuel College, Bushey. The debates were judged by Alice Dendy, of the ESU; and George Burns, a Sixth Form manager at neighbouring Claremont High School. We are also grateful to, and commend, Haider Nazerali and Sara Dehvari (both Year 13) for competing as a “swing team” to ensure that the three scheduled debates went ahead as planned when one team was unable to attend. They strongly opposed a suggestion that students should take part in compulsory national service after Year 13. We look forward to receiving news of the second round in due course. Thank you to Godwin on the caretaking team; to Careen, Mary and the catering team; to Rachelle Regan and the behaviour team; to Tracey Cox; and to the members of staff and fellow students who kindly gave their time to support the competitors during the evening. Year 13 Government and Politics staff and students had an eye-opening experience last week when they were invited to visit the Foreign and Commonwealth Office (FCO) by a former Kingsbury student and now diplomat, Adam Wurr. The idea came to Adam during the school’s 50th anniversary celebrations. He had left the school for Durham University in 1990. With an hour or so to fill prior to the FCO visit, the group chose to spend this time in the UK Supreme Court, opposite the Houses of Parliament and looking out across Parliament Square (see: https://www.supremecourt.uk/). 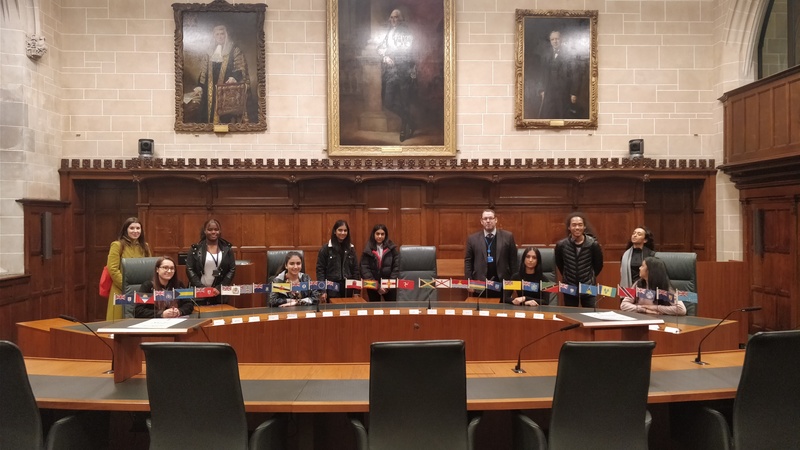 The students have studied the Supreme Court as part of the AS Judiciary topic and enjoyed looking at the modern and traditional courtrooms, finding out about the Privy Council courtroom, and exploring the exhibition of court robes, cases and legal documents. The students were delighted to meet with Adam at the FCO and his tour of the buildings, and the following Q & A including two female diplomats, proved to be the highlights of the trip. The tour of a remarkable set of buildings (see: https://www.gov.uk/government/history/king-charles-street) included the breathtaking Main Quadrangle, hidden from the public view, upon entering the FCO gate; a very close look at No.10 Downing Street; time spent in the elegant Durbar Court, which hosts diplomatic and Royal receptions; a tour and history lesson related to the Locarno suite, where the Locarno Treaties were signed in 1925; the Foreign Secretary’s Office; and an interesting glance at ‘History Corner’, an exhibition by FCO historians on the Congress of Vienna 1815 and the shaping of nineteenth century Europe. In discussion with the diplomats, students asked about political neutrality, foreign postings and the levels of responsibility within this fascinating career. Thanks very much to Adam Wurr, and his FCO colleagues Laura and Kate; to Margaret Rechowicz, who met with Adam and pushed for this to happen; and to Ms Deighan and Mr Mitchell for taking the students on this enriching and stimulating school visit. Many congratulations to both Maria Cociorvei & Vrinda Parekh for their outstanding home learning project. Maria & Vrinda recreated scenes based on their recent Quinta visit. Both girls have clearly demonstrated the Kingsbury PRIDE values, in particular inspiration and determination – a big well done to both of them.Both girls said the trip was very inspirational, that their favourite part of the trip was meeting the older students and they hope to one day become Red Shirts leaders. Two Year 13 members of the Upper School Debating Society – Haider Nazerali (Head Boy) and Akira Allman – represented the Kingsbury High School at the EU Mock Council 2018. 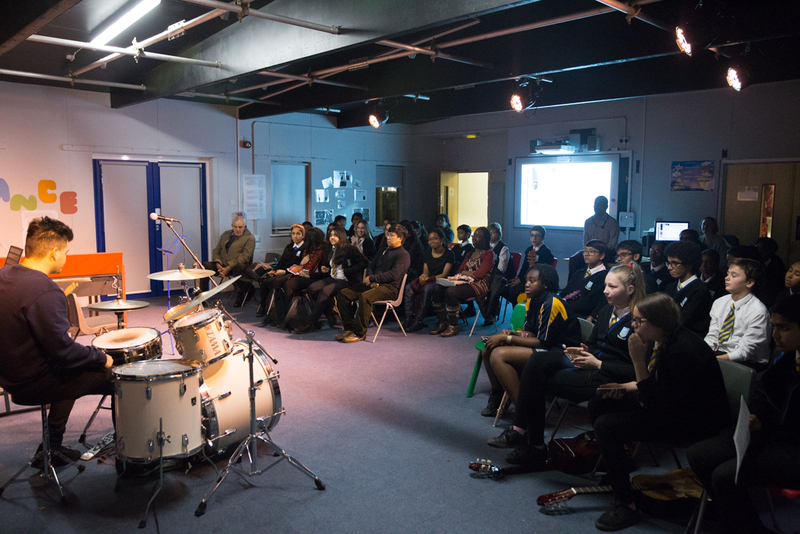 This was a high profile event, organised by the European Commission and the British Council, and Kingsbury High School had to win a qualifying round to secure a place. 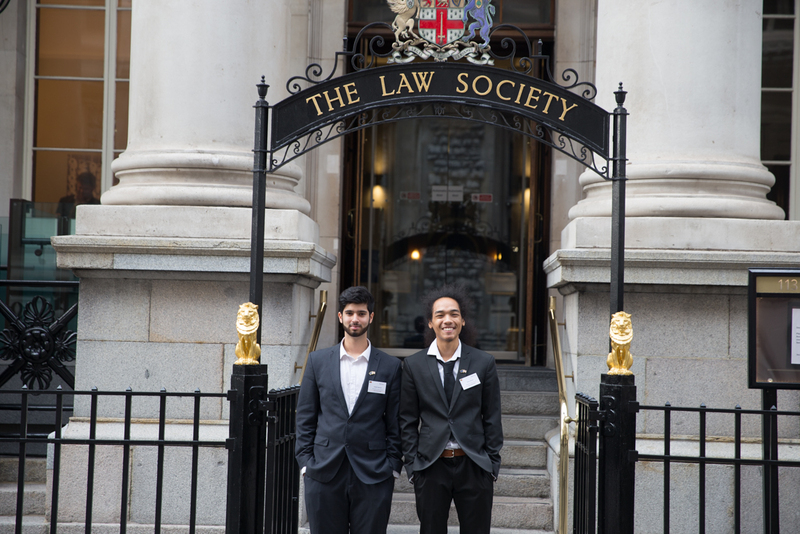 Kingsbury High School was one of only 32 winning schools across the UK that took part in the mock summit of EU leaders on 22 November at the Law Society in Chancery Lane. The 64 students discussed and debated two key issues: the future of the United Kingdom in the Erasmus+ programme and the rights of EU citizens in the UK once it has left the European Union. The Mock European Council aims to give Sixth Form students a chance to experience the EU’s decision-making process by taking part in debates and learning more about EU policies in specific areas. Each school was assigned the role of one of the EU’s 28 member states, KHS being Portugal, and two students played its head of government, negotiating on one of the two issues in the talks. the UK, closed the one-day event with an inspirational and thoughtful speech. decisions will continue to be relevant to British economic and political life in the future. Thanks to Harsha Sorathia and Tamara Faires-Back for supporting the students on the day and to Mr Mitchell and the Upper School Debating Society. We had a full house for the second Friends and Family concert of the year which included 26 performers from all year groups across the school. The music ranged from compositions written in lessons to GCSE and A level solo performances with the school Choir opening the concert. The music department is incredibly proud of all of the musicians who performed. The next concert is on Thursday 30th November in Tylers Hall at 6pm and it will feature our school ensembles. 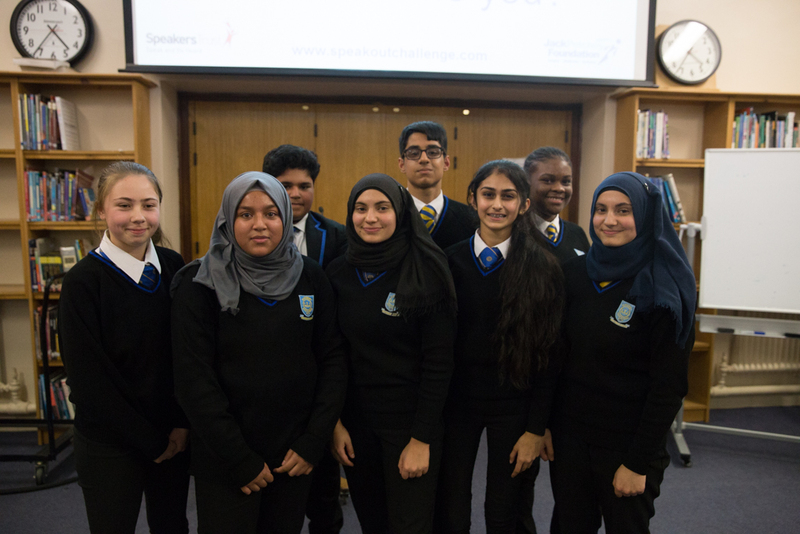 After the recent Excel Day Jack Petchey Speak Out Challenge workshops for all of Year 10, a school final was held to select students to represent KHS in the upcoming regional final. Valentina Gah, Layla Khoudhari, Dijonay Richards, Priya Bharadia, Mia Khoudhari, Jawad Bokhari, Bilal Rehman, Humza Tahir, Ifla Mujeeb. The students had to give a 3 minute speech without any notes, and the judges had a difficult task as they all spoke with great passion and emotion on a range of subjects. Congratulations to all the speakers, in particular to Priya, Dijonay and Ifla who have been selected to go through to the Brent final in January. Thanks also to Andrew Mitchell and Sarah Purtill for judging the event, and to Erik Windrich for his technical support. 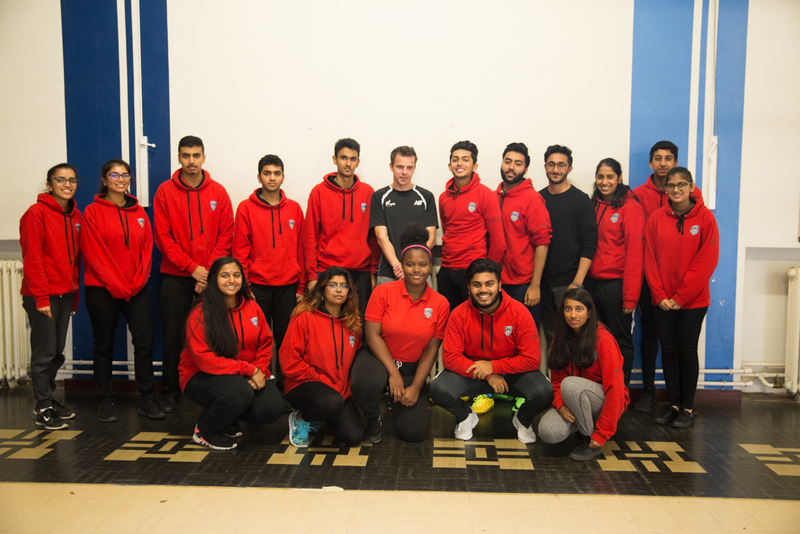 On 14th November a group of Year 13s took part in a leadership workshop led by athlete Tim Prendergast. Tim has competed in four Paralympic games, winning a gold medal in Athens 2004 in the 800m -T13 event. Now he works as an athlete mentor for the Youth Sports Trust – inspiring students by sharing his own experience of overcoming disability to succeed. The workshop included ideas on how to differentiate activities to cater for all abilities and also planning and coordinating an event. As a result of their training, the Year 13s will be organising an inclusive festival for students from KHS and our local special schools in the spring term.